Paleo diet is basically consuming foods that were eaten in the Paleolithic era. This modern diet includes those foods that are presumed to have been available and consumed by people of that era. This diet basically involves a modern person adopting a caveman diet. Although the health benefits of this diet are yet to be proven, there are certain reasons as to why people believe it is useful. The idea is to backtrack and follow the diet before genetic evolution which could positively influence our health as we try to get in live with the pressures of evolution. It is believed that this diet has a lower glycemic index, balanced protein, fat and carbohydrate intake and is higher in vitamins as well as nutrients. What are the foods on this diet? This isn’t just a diet but a lifestyle choice and the people who take this up are in it for the long term and isn’t something you can drop if and when you see positive results. This diet means giving up all modern foods and sticking to only foods that we directly get from the earth as it was back in the days. 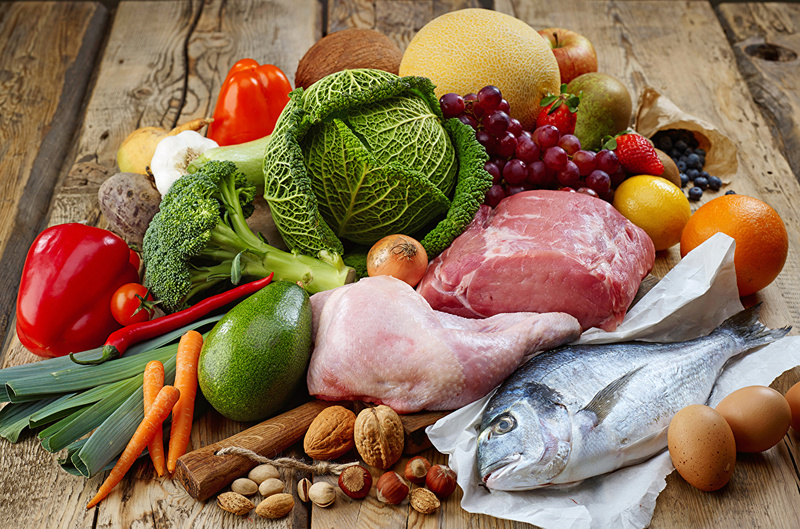 Paleo diet includes fruits, vegetables and fresh meat. No dairy products and grains as well but if you wish to consume crops, limit it to organic ones to avoid pesticides and other chemicals. Ofcourse, this also means no added salts or sugars and no alcohol. Probably the closest to alcohol you could get is red wine. This diet is not just about food but includes diet as a vital component in its equation. In the era of stone-age, survival meant a lifestyle that was on-the-go which means the people were physically very active. It might be close to impossible to exactly mimic the era but cutting down of processed and highly fatty foods is definitely beneficial for you. The idea is to have a balanced diet where you consume enough and never extra because too much of anything can be harmful.